On October 14, 2018, Security Forces(SFs) of Pakistan and Afghanistan exchanged fire along the border in the Tandah Dara Sarochahan area of Qilla Abdullah District in Balochistan Province.Afghan media claimed three Pakistani soldiers were killed in the clashes that lasted for several hours, although the Pakistan military denied this claim.Pakistani officials, however, confirmed the incident and claimed Afghan troops opened fire on Pakistani personnel who were erecting a fence along the border in the area. After the incident, Pakistani border authorities closed the Friendship Gate near Chaman, leaving thousands of people stranded on both sides of the Pak-Afghan border. If governments are going to engage in trade wars, they should have a clear and pragmatic vision of where they want to end up. Yet the trade war initiated by the Trump administration seems less like a tough negotiating tactic, and more like a guessing game. 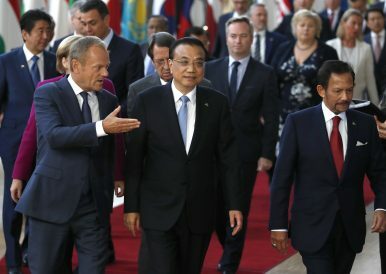 MILAN – Some observers interpret the trade war that US President Donald Trump has initiated with China as a tough negotiating tactic, aimed at forcing the Chinese to comply with World Trade Organization rules and Western norms of doing business. Once China meets at least some of Trump’s demands, this view holds, mutually beneficial economic engagement will be restored. But there are many reasons to doubt such a benign scenario. The long China-US trade war is really a manifestation of a fundamental clash of systems. As China’s power has grown in recent years, so, too, has the risk of war with the United States. Under President Xi Jinping, China has increased its political and economic pressure on Taiwan and built military installationson coral reefs in the South China Sea, fueling Washington’s fears that Chinese expansionism will threaten U.S. allies and influence in the region. U.S. destroyers have transited the Taiwan Strait, to loud protests from Beijing. American policymakers have wondered aloud whether they should send an aircraft carrier through the strait as well. Chinese fighter jets have intercepted U.S. aircraft in the skies above the South China Sea. Meanwhile, U.S. President Donald Trump has brought long-simmering economic disputes to a rolling boil. A war between the two countries remains unlikely, but the prospect of a military confrontation—resulting, for example, from a Chinese campaign against Taiwan—no longer seems as implausible as it once did. And the odds of such a confrontation going nuclear are higher than most policymakers and analysts think. Over the past few days the shape of what many in Europe and the United States call a new Cold War has begun to emerge — with threats and nuclear weapons that resemble the old one, punctuated by new dynamics, in part because of the rise of a rich, expanding and Nationalist China. The change was evident as President Donald Trump explained his decision to abandon a 31-year-old arms-control treaty with Russia — hinting he was ready to plunge into a new arms race with both Moscow and Beijing, and as the Justice Department filed charges, for the third time this year, against Russians accused of interfering in U.S. elections. The planning behind many of China’s major infrastructure projects abroad has been “downright inadequate”, leading to huge financial losses, according to the head of the country’s state export credit insurer. Wang Wen, of China Export and Credit Insurance Corporation, known as Sinosure, said Chinese developers and financiers of projects in developing nations supported by Beijing’s “Belt and Road Initiative” need to step up their risk management to avoid disaster. He cited the mistakes of a major railway project in Africa that has cost Sinosure close to US$1 billion in losses, according to its chief economist. The killing of Jamal Khashoggi was a death foretold from the time his comments on Saudi Arabia's crown prince and effective ruler, Mohammed bin Salman, reached the royal court. Princes do not tolerate what they perceive to be insults, especially from commoners. 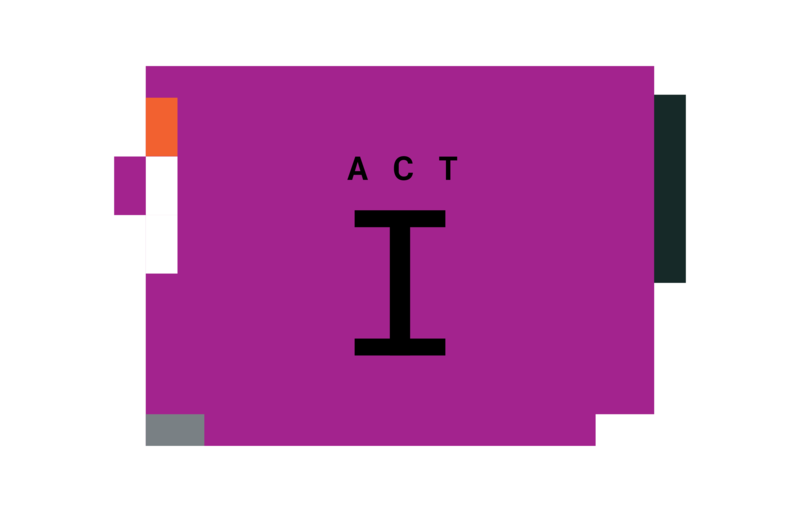 In an absolute monarchy, the difference between criticism and treason does not pertain. Khashoggi, for years a loyal subject of the monarchy, dared to suggest that his country refrain from devastating its smaller neighbor, Yemen, and permit the kingdom's inhabitants a measure of freedom. That was enough for his liege lord to perceive him as an enemy of his person and of the state. The official Saudi line denies the crown prince's complicity in Khashoggi's death, but it would have been understood by members of the Saudi government that if Khashoggi continued, others would follow. The Western powers that have played a decisive role in the Saudi kingdom throughout the past century should not be shocked at what happened to Khashoggi. His death is one of many they have ignored since Abdulaziz Ibn Saud founded the kingdom in the Arabian Peninsula and named it for his family. Anyone glancing at a newspaper these days finds a litany of woes: war, crime, disease, terrorism, and environmental disasters, all sandwiched between predictions of the coming collapse of market capitalism and liberal democracy. U.S. politicians on both the right, such as President Donald Trump, and the left, such as Senator Bernie Sanders of Vermont, warn that the United States and the world are sliding toward calamity. Pessimism rules the day. The world does indeed face challenges. Yet by almost any measure, life for most people has been getting better in almost every way. Levels of war and conflict are near historic lows. People are living longer and healthier lives and are better educated than ever before. Incomes for most families are higher than at any time in history. One billion people around the world have been lifted out of extreme poverty in the last two decades, and although income inequality has worsened within many Western countries, across the globe, income is more equal than it has been in centuries. Far fewer people than ever go hungry, and the world now grows more food than it needs. Women have more opportunities, democracy has expanded, and basic human rights are more widely respected than ever before. Electricity, automobiles, the Internet, modern medicines, and simple conveniences have made most people’s lives far easier than their great-grandparents could have imagined. And after centuries of being largely confined to the West, since the 1980s, such benefits have spread across the world—not just to China and India but also to Brazil, Chile, Costa Rica, Ghana, Indonesia, Malaysia, Mongolia, Mozambique, Peru, South Africa, South Korea, and dozens of other countries. The power of Japan's agricultural sector is waning, but the industry will continue to exert influence over decisions on trade for many years to come. Reformers have enjoyed mixed success in curbing the influence of the agricultural lobby, but the country is likely to creep toward continued liberalization in its trade deals. U.S.-Japan bilateral trade talks on farming could hit obstacles if Washington tries to push Tokyo to open up its agricultural sector to a degree that exceeds the level that Japan permitted in other recent trade deals. Japanese lawmakers could make concessions on agriculture during trade talks with the United States if they decide that the health of the country's car industry is more important. On Nov. 4, U.S. sanctions on Iranian oil exports will go back into force after they were suspended following the 2015 Iran nuclear deal. Less than a month before that deadline, Iran’s oil sales are already tanking. The United States would like to see them fall further. In July, U.S. Secretary of State Mike Pompeo laid down a marker when he spoke at an event for Iranian dissidents. “Our focus is to work with countries importing Iranian crude oil to get imports as close to zero as possible by November 4th,” he said, before repeating “zero” for emphasis. In an unprecedented move, the European Union this week rejected Italy’s 2019 draft budget, saying it posed a threat to Europe’s economic stability. The decision is part of a confrontation between the European Commission and the right-left coalition government in Rome consisting of the Northern League and Five Star Movement parties. Adam Tooze, an economic historian at Columbia University, believes the move could trigger a global economic crisis. Tooze is the author of the recent book Crashed: How a Decade of Financial Crises Changed the World. What follows is his conversation with Foreign Policy. Foreign Policy: Does the Italian budgetary crisis and the European Commission’s response surprise you in any way? Since the conflict began between Ukraine and Russian-backed rebels more than four years ago, Alexander Hug has had a front seat to Europe’s forgotten war. In a conflict steeped in fake news and propaganda, Hug has helped lead the only independent international monitoring mission of the war as the principal deputy chief monitor of the Special Monitoring Mission in Ukraine for the Organization for Security and Cooperation in Europe (OSCE). The civilian monitoring mission has some 700 observers on the ground in Ukraine. Each week, the observers document thousands of violations of the Minsk cease-fire agreements that were brokered in a bid to end the war. During a recent trip to New York City, Hug sat down with Foreign Policy. He described the challenges of his job in Ukraine and the frustrations of witnessing a conflict that could be resolved quickly if only the two sides were willing. This week, U.S. National Security Adviser John Bolton was in Moscow, where he met with Russian President Vladimir Putin to discuss, among other things, the U.S. withdrawal from the Intermediate-Range Nuclear Forces Treaty. 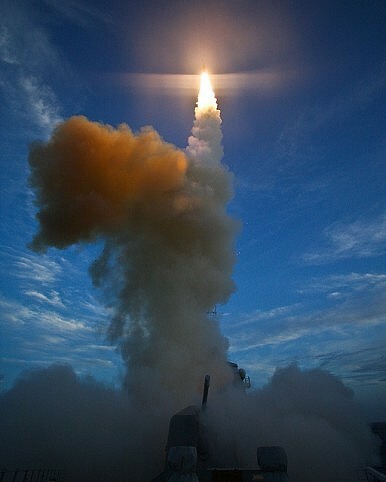 Announced by President Donald Trump last weekend, the move comes after repeated Russian violations of the treaty’s ban on developing and testing land-based intermediate-range ballistic and cruise missiles. Given the particular history of the INF Treaty—a late Cold War-era deal to ratchet down tensions over the deployment of nuclear-capable, mid-range missiles on both sides of the Iron Curtain—the Trump administration’s decision to torpedo the accord further focuses attention on potential scenarios for armed conflict with Russia. 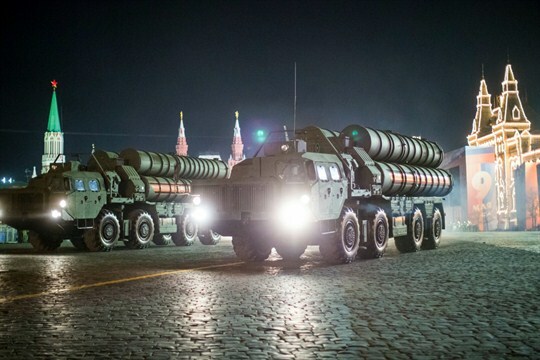 In particular, it calls into question NATO’s ability to deter and, if necessary, counter a Russian act of military aggression on a member state. On Saturday, a shooter gunned down at least 11 people at the Tree of Life synagogue in Pittsburgh, the single deadliest anti-Semitic attack in American history. U.S. President Donald Trump declared it a “wicked act of mass murder.” As the country grieved, police arrested 46-year-old Robert Bowers, the apparent gunman, who had barricaded himself in the synagogue after a shootout with the police. Before the attack, Bowers had repeatedly posted vicious anti-Semitic slurs on Gab, a social media site popular with white nationalists. He was heard shouting, “All Jews must die,” as he entered the synagogue. North Korea has long been known as a hermit kingdom, but it is learning to embrace the internet. The Asian country has “dramatically” changed its internet use patterns, according to a new report, which could make imposing sanctions and defending American networks more difficult. North Korea is using cyber operations to conduct low-level financial crimes and the country’s leaders are increasingly using the internet as a part of their daily life, according to an Oct. 25 report from Recorded Future, a threat intelligence firm. 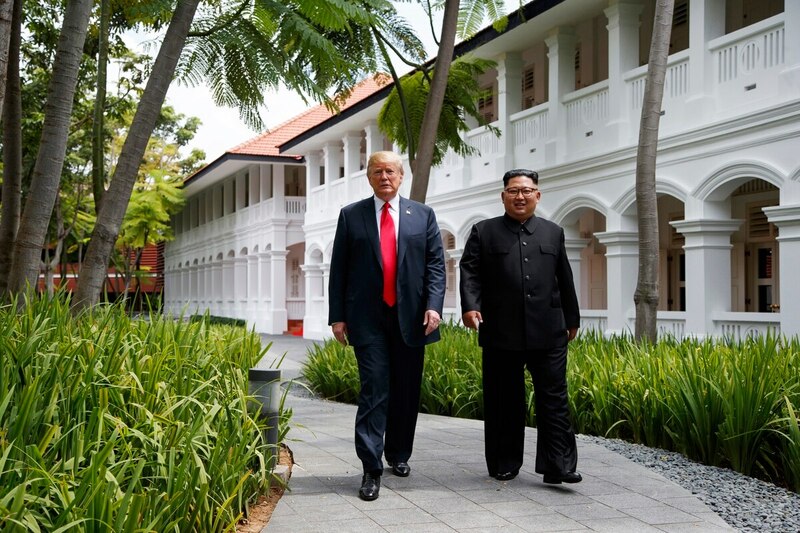 North Korean leader Kim Jong Un is quick to embrace technology and then cast it aside, directing hacking operations along the way as he runs the country “like a criminal syndicate,” according to the Recorded Future report. Rob Joyce, former White House cyber coordinator and a senior official at the National Security Agency, believes the new U.S. policy governing cyber warfare is more "thoughtful" than some of its critics might think. Joyce characterized the administration's new process as an update that adds needed authorities based on the assumption that cyberspace needs to be "a contested environment," he said Oct. 23 at a conference hosted by Palo Alto Networks. "There's the question of how often do you want everybody to get what I call free shots on goal?" said Joyce. "The ability to come in, at a time and place of their choosing, without contest, and rattle the doorknobs and probe the defenses and find out where you're strong and where you're weak." Enter to win a year's worth of mortgage or rent payments! BBMC's annual "We've Got Your Six Sweepstakes" is now open to veterans, active duty, and spouses. Learn more and enter. Everyone talks about how admirable mission command is. Seldom is heard a discouraging word about it. So I was surprised to see this thought, expressed by a former Air Force officer who now works at Amazon: . . . a common perspective among junior leaders that “mission command” was effectively a way for mid-grade and senior leaders (who, this perspective holds, were traditionally micromanagers) to abdicate responsibility for failure or to hide their own lack of expertise. The Pentagon recently concluded the first limited assessment of its persistent cyber training environment (PCTE) with actual users, providing the team with valuable insights. 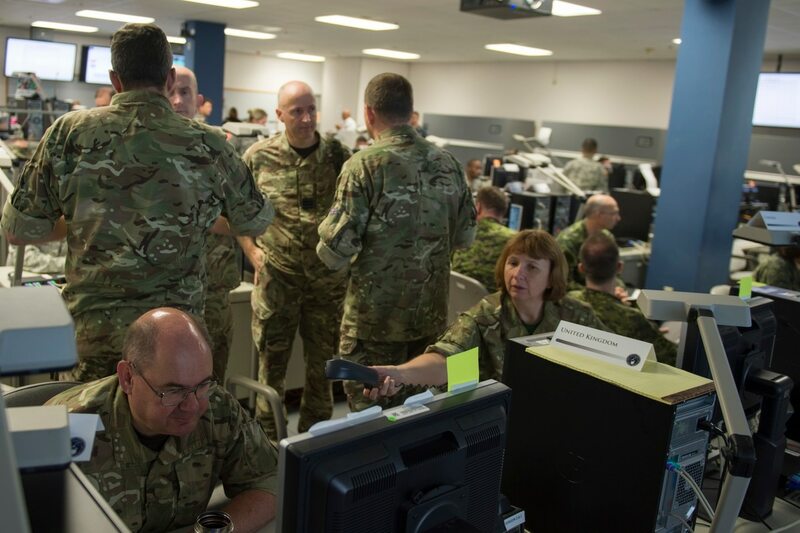 The Army is running the PCTE on behalf of U.S. Cyber Command, which will eventually provide the platform for distributed individual and collective training purposes, as well as mission rehearsal. The joint cyber community currently doesn’t have an immersive training environment akin to the National Training Center for the Army. The Army has decided to take best practices from industry in agile software development, breaking the PCTE program into a series of innovation challenges and prototypes that will help to inform the eventual solution. 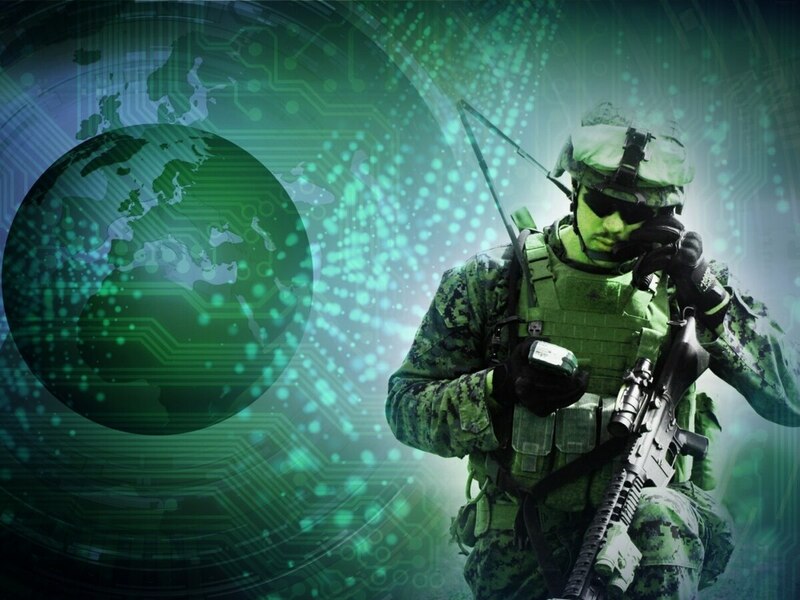 Contracts have been awarded on the first wave of prototypes for the Department of Defensive's Persistent Cyber Training Environment. They were the forgotten voices of the first world war: 1.5 million men, mostly illiterate villagers from northern India, fighting under the command of colonial masters who repaid their bravery and sacrifices with brutality and prejudice. More Indians fought with the British from 1914 to 1918 than the combined total of Australian, New Zealand, Canadian and South African troops. Some 34,000 Indian soldiers were killed on battlefields in Europe, Africa and the Middle East. But the part they played in the war has been largely whitewashed from history. Could Russia's T-14 Armata Tank Be Headed to India? The Indian Army is one of the largest operators of Russian tanks in the world. According to IISS, it currently fields almost 2000 T-72s of various variants and nearly 1000 T-90Ss. But the older T-72s are aging, despite efforts to modernize them. To replace them, India has launched the new Future Ready Combat Vehicle (FRCV) program. This program aims to replace the T-72 in Indian service. The Indian Ministry of Defense (MoD) submitted a Request for Information (RFI) in 2017. The possible value of the FRCV program is very large, India expects to acquire around 1700 of the selected tank. The requirements for FRCV are listed in the RFI. One interesting requirement is weight: the FRCV is not to exceed 57.5 tons. The report also suggests that the armament be a 120 millimeter or 125 millimeter main gun, which should be able to penetrate 650 millimeter of armor at two kilometers and fire at a minimum rate of six rounds per minute. Pakistan and China define their friendship as “higher than the heights of Himalayas and deeper than the depths of Arabian Sea”. 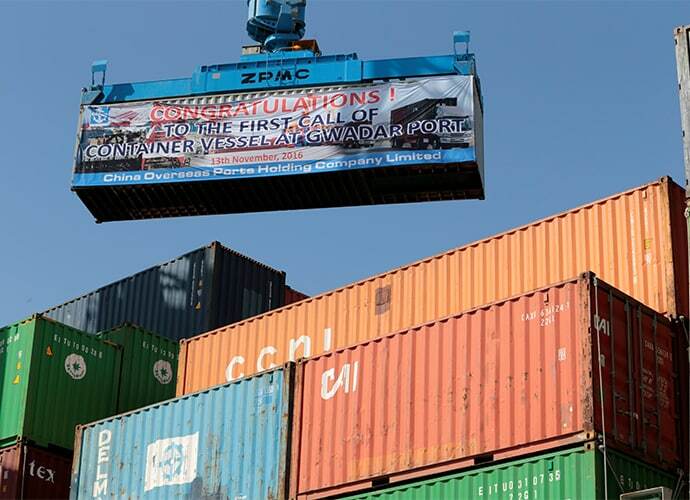 To make it even stronger, President Xi Jinping of China visited Pakistan in April 2015, with a multi-billion dollar investment plan (nay debt-trap) — the China Pakistan Economic Corridor (CPEC), the main plank of Xi’s Belt and Road Initiative (BRI). China has always defined BRI as a win-win situation, implying that both China and the host country would enjoy the resultant economic prosperity. The truth, however, is completely different. Basically, “win-win” probably meant that China would “win twice”. Unfortunately, the CPEC has burdened Pakistan’s economy with a lot of debt and trade deficit, and pushed the country onto the brink of total bankruptcy. Neither did China provide Pakistan with industrial technology to help it boost exports, nor did it create jobs in the country — because the project has mostly hired Chinese labourers. From Asia to Africa, China is challenging the United States. In the Middle East, it is finding ways to exploit the region's need for investment and to build up relationships beneath the dominating U.S. shadow. The Belt and Road Initiative is a means to that strategic end, and in Israel, Beijing is trying to close a key gap in the Levant. But America's close relationship with Israel means that the task won't be easy. China's relationship with Israel is unlike any other Beijing is pursuing in the Middle East. Israel is the closest U.S. ally in the region and dependent upon American military aid to keep its armed forces on the cutting edge. Yet China is trying to use the heft of its financial investing to make inroads into Israel and the region. On Oct. 25, Chinese Vice President Wang Qishan completed a three-day trip to Israel, where he sought to expand the Belt and Road Initiative and undermine U.S. influence. The visit produced few new developments in their relations — only promises of future free trade and cooperation — but it did serve to heighten U.S. concern about Beijing's influence there. It is often said that the US and China – superpowers at economic, geopolitical, and ideological loggerheads – are heading toward a new cold war. And the rhetoric – at least from one side – has come to resemble that of Winston Churchill’s 1946 “Iron Curtain” speech, one of the inaugural events of the Cold War. Just this month, US Vice President Mike Pence accused China of predatory economic practices, military aggression against the United States, and attempts to undermine US President Donald Trump. But despite the media hype, a new cold war is not inevitable – or even likely. 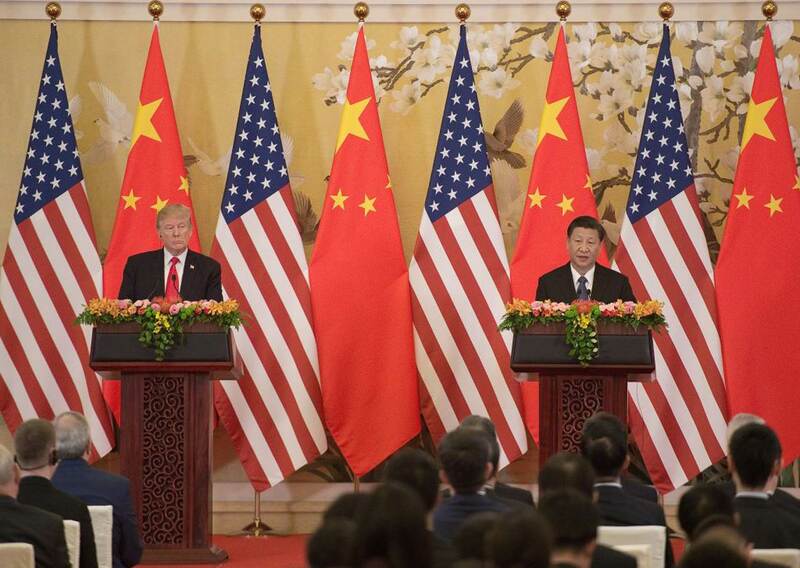 To be sure, Chinese leaders, fearing disorder and any weakening of the Communist Party of China’s legitimacy, are determined to prevent the US from forcing changes on China’s political and economic system. China will continue to pursue reforms at its own pace and in its own way. For Chinese President Xi Jinping, a top priority is to merge the CPC with the machinery of government in order to reduce corruption and burnish the state’s ideological credentials. Any attempt to interfere in this process would be crossing a red line. Who has the real leverage on US Treasuries? When you owe a bank $100, that’s your problem. But when you owe a bank $100 million, it’s the bank’s problem. That’s a famous quote from industrialist John Paul Getty. Few scenarios would seem to dramatize the spirit of this witticism more than China’s vast holdings of US Treasuries – $1.165 trillion of them. This epic dollar hoard, it’s widely believed, gives Xi Jinping’s government powerful leverage over Donald Trump’s. President Xi does, of course. All it would take is for China to skip a few Treasury auctions and, boom, bond market chaos gets Trump’s undivided attention. In that sense, Trump Treasury Secretary Steven Mnuchin could be excused for fretting over news that Beijing cut its dollar-bond holdings for a third straight month in August. Yemen does not present an existential threat to Israel, but Israel could move against the Iranian-backed Houthis in Yemen to foster better ties with Saudi Arabia. Iran's decision to supply militias in Iraq with ballistic missiles could provoke some form of Israeli response. Any strike on Iranian proxies in Iraq, however, would increase anti-American sentiment and potentially push Baghdad even more toward Tehran. Editor's Note: This is the second in a two-part series. The first part assessed the burgeoning ties between Israel and Saudi Arabia and the United Arab Emirates. Just as it takes a village to raise a child, so it takes a network of enablers to empower a tyrant. While domestically the Saudi government’s capital is fear, abroad it is cash and the influence it brings. Not content with Khashoggi’s murder, Mohammed bin Salman dragged one of the journalist’s sons before the cameras to set up some good optics for the royal family. With new details of his father’s brutal death and dismemberment reaching his ears daily, it is hard to imagine what kind of pressure, what kind of threat, compelled him to shake the hands of his father’s murderers. The good news about President Trump’s $30 billion cutback to defense? The Pentagon still has enough money to execute a national security strategy. The bad news? It’s enough to execute Obama’s strategy. Trump’s plan would undercut the more expansive National Defense Strategy for “great power competition” that embattled Defense Secretary Jim Mattis rolled out just nine months ago. That President Trump is serious about reversing his much-touted defense buildup caught everyone in Washington by surprise, including the Mattis Pentagon, which had almost completed a $733 billion plan for 2020. Trump’s $700 billion figure would be five percent below the plan for 2020 and a 2.3 percent reduction from 2019, reversing the planned growth. 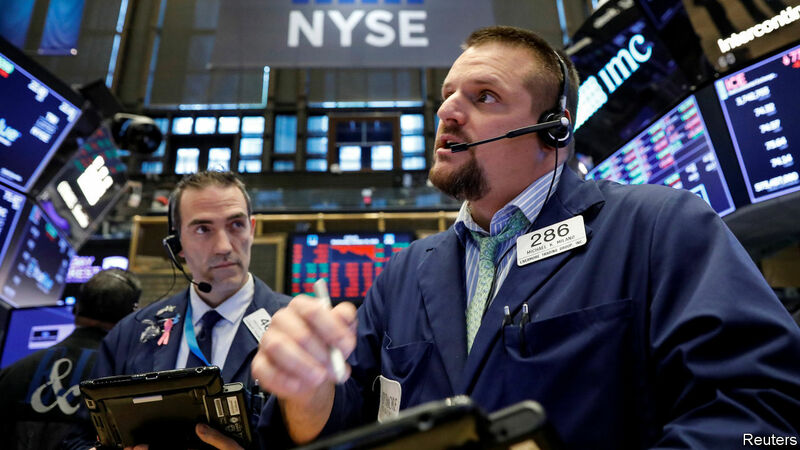 FRENETIC trading on October 24th ended with America’s leading share-price indices giving up most if not all of the gains of what, only a month ago, had been a good, if not spectacular, year. Expectations had hovered between positive and very positive, and these had hitherto appeared to be borne out by strong third-quarter earnings. The markets regained some ground on the morning of October 25th. But signs of impending problems are clearly attracting investors’ attention. 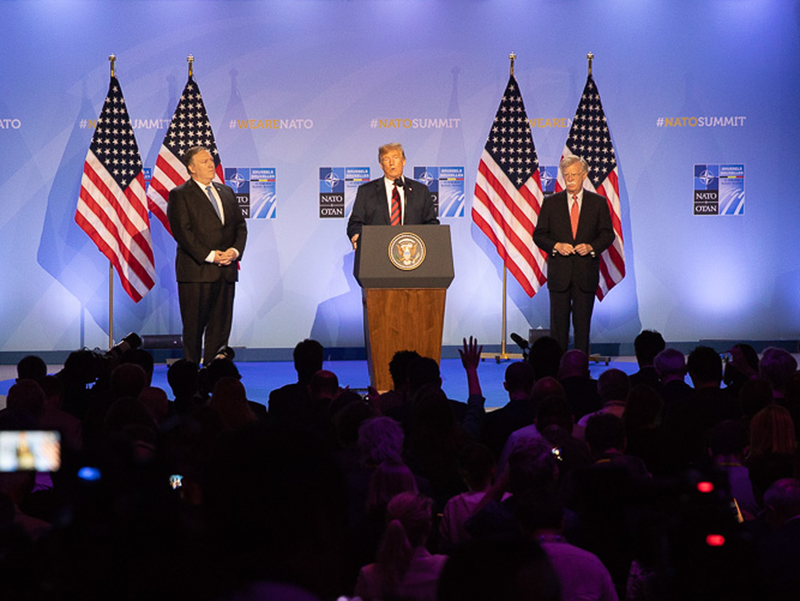 Maintaining consensus on NATO’s nuclear posture remains the most demanding aspect of Alliance management in NATO, especially given the fundamentally changed security environment in Europe. Robert Bell writes that it is thus crucial that Allies understand that the benefits of the US’ extension of its nuclear deterrent come with responsibilities. At the same time, the Trump Administration must appreciate that if all Allies are expected to support the enhancements of NATO’s nuclear posture, they will require an equally robust arms control, disarmament and non-proliferation posture on the part of the US in return. 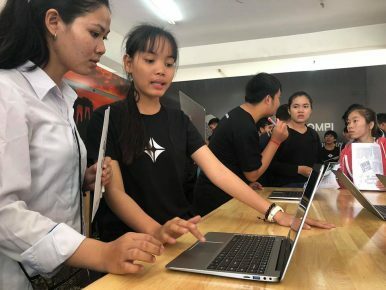 October 20 saw the launch of KOOMPI, a Cambodian “home-grown” laptop, at BarCamp ASEAN 2018, the annual regional expo for tech start-ups. The laptop is distinctive for running entirely on Open Source platforms so that production costs are kept low and the device is affordable, and so that owners without a background in computing can “hack” the platforms and become “super-users.” KOOMPI is already doing market testing in Myanmar and exploring bringing the product to other regional markets such as Japan, Brunei, Bangladesh, Indonesia, Laos, and the Philippines. The Pentagon and General Services Administration released a request for informationOct. 25 for a new unified collaborative cloud solution that will unite the entire defense apparatus under one enterprise contract. The Defense Enterprise Office Solution is the first capability set of three that the Department of Defense plans to use to capture its enterprise collaboration and productivity needs. The DEOS capability set needs include a productivity suite, messaging capabilities, content management systems and collaboration tools. “We operate pretty much in a disparate environment right now, and predominantly on-[premises] for these capabilities. So DEOS will give us an opportunity to tear down some of those barriers, posture us for increased interoperability while taking advantage of what the commercial community has to offer,” said Essye Miller, principal deputy to the DoD chief information officer, at a press roundtable.